Today is Seijin no hi (Coming of Age Day) here in Japan, a holiday to celebrate and congratulate those who have turned 20. Yesterday, local and prefectural offices around the country held ceremonies to mark the passage into adulthood, followed by parties with family and friends. Many women celebrate the day by wearing furisode, a style of kimono with long sleeves and zori sandals. 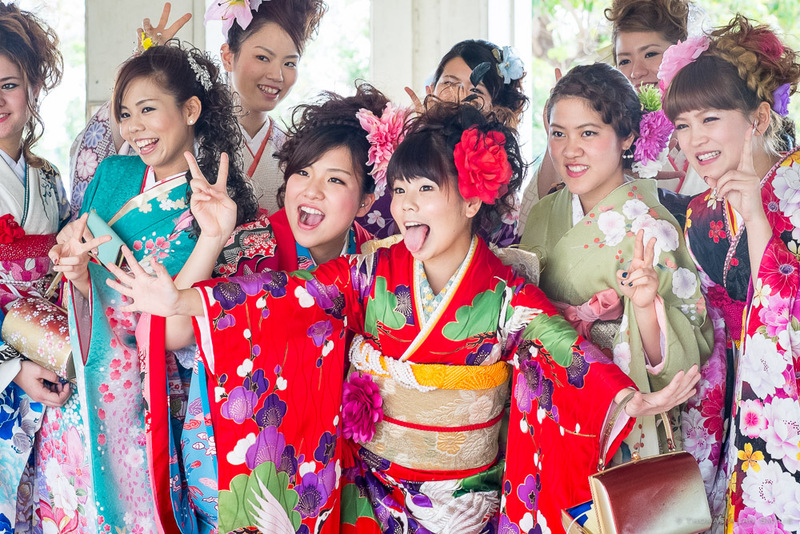 A group of young women pose for a photo at The Coming of Age Day ceremony in Yomitan, Okinawa Japan. Some men wear traditional attire, while others choose to wear a more modern suit and tie. 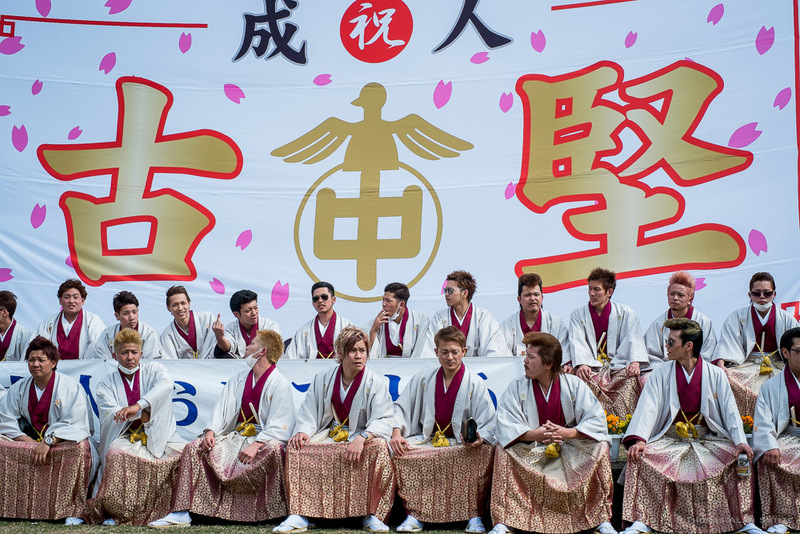 A group of men who went to the same school gather together for a group portrait on Coming of Age Day in Yomitan, Okinawa. Congratulations to all those who celebrate this milestone today. Newer PostDigiscoping the Moonrise with an iPhone 5s.